Abdulrahman Elshayyal is the CEO of Alaraby AlJadeed, one of the largest pan-Arab news outlet headquartered in London. 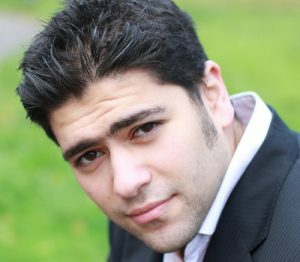 Prior to joining Alaraby Aljadeed, he worked at the BBC for five years in different capacities, firstly as a producer and then as a Business Development Manager, responsible for the BBC World Service’s relationships with the relevant government departments, NGO’s and private companies in over 15 Arab countries. Prior to that he worked at a number of media organisations as well as a UK government funded project on Security Sector Reform. In early 2014, Abdulrahman secured funding for and organized the opening of an independent media training centre in Sana’a, Yemen. The institute went on to train over 150 potential journalists in Yemen on various production skills for multi-platform media and journalism ethics. Abdulrahman was born in London and holds a BA in Economics and History from SOAS and an MA in Political Economy from Durham.